Enjoy 10% Bonus CC When You Top-Up! 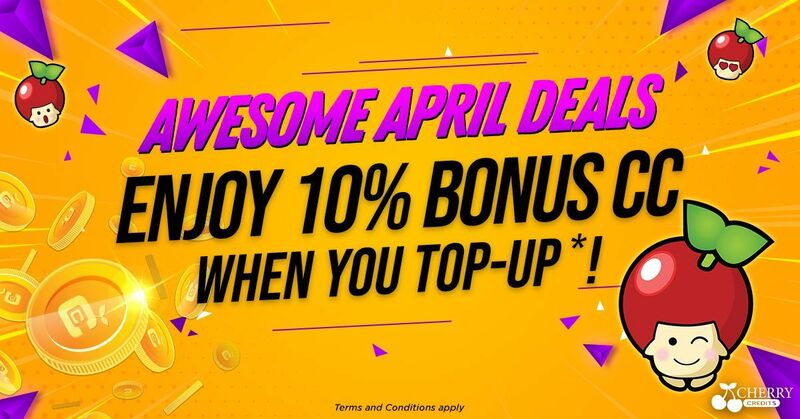 The CC top promo 10% will be limited to purchase methods such as Wechat, Alipay, Credit Card, PayPal and UnionPay e-wallet.Both promotions will be running from April 4th 9:00 AM to 7th 9:00 AM. Welcome to buy TQ Cards with Cherry Credit ! Click here to enter Top Up page.